I personally want to sample every pumpkin recipe I find. Unfortunately most pumpkin recipes are for sweets so it really isn’t good for my waistline. 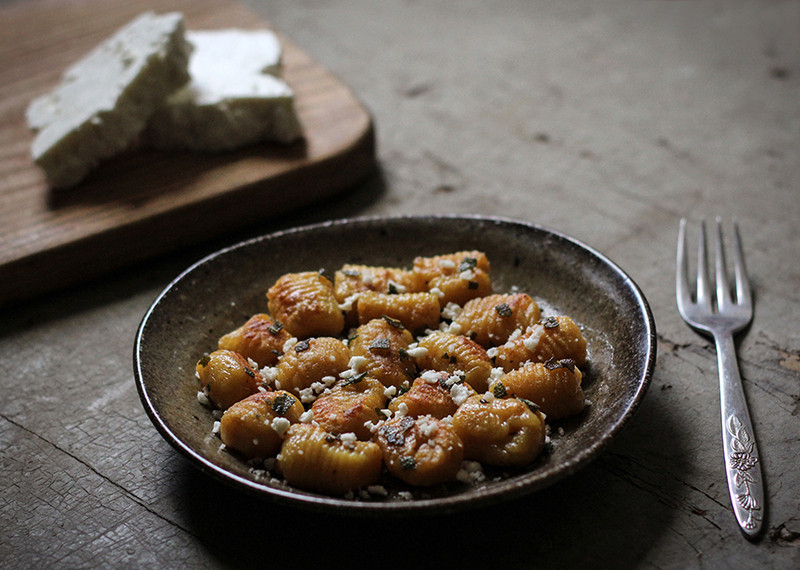 It isn’t always easy to find savory pumpkin recipes but I have done the work for you. Today my goal was to provide a list of savory pumpkin recipes that won’t make us live in the gym this fall. This rich and creamy dish is prepared and served in the same pot. Topped with goat cheese and garnished with fresh parsley. You won’t believe how easy it is to make. 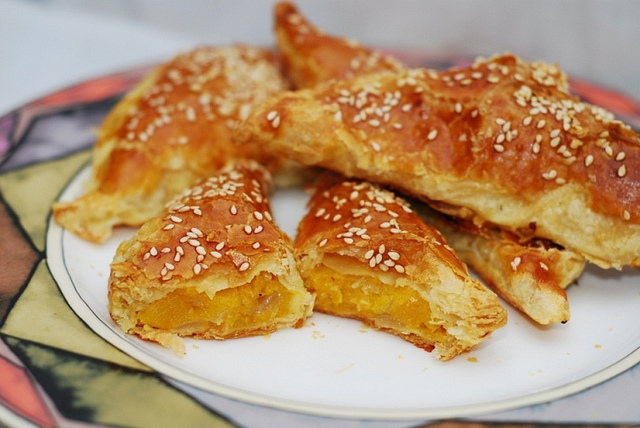 These are a perfect fall time snack! 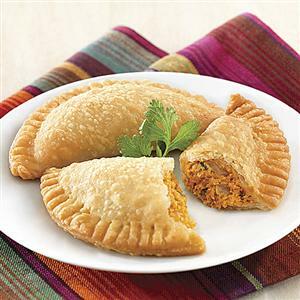 I might be tempted to make them with Pretzel dough instead of pastry. These have a lot of potential with a little experimentation. 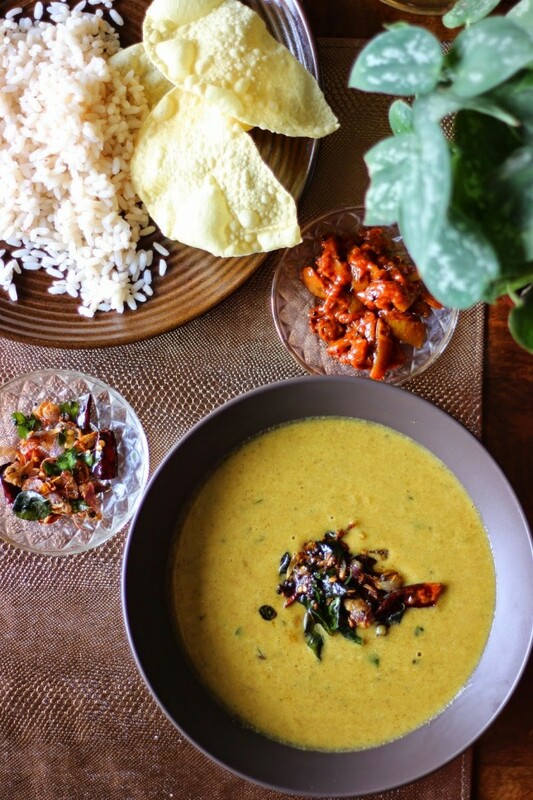 This curry pairs pumpkin with fresh coconut and the warm flavors of chiles and cumin. 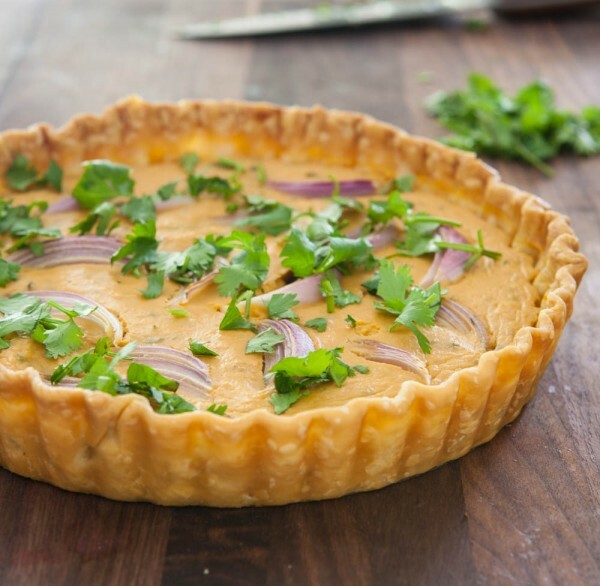 This tart would make an incredible Sunday brunch item. 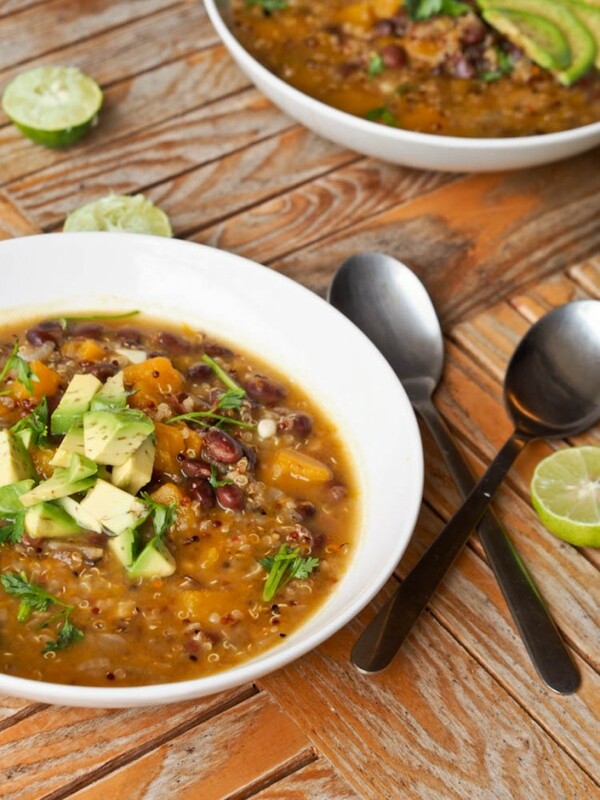 A hearty, protein-filled and flavor-packed chili that happens to be vegan. These are flavorful little nuggets can be made ahead and make a quick and delicious meal. 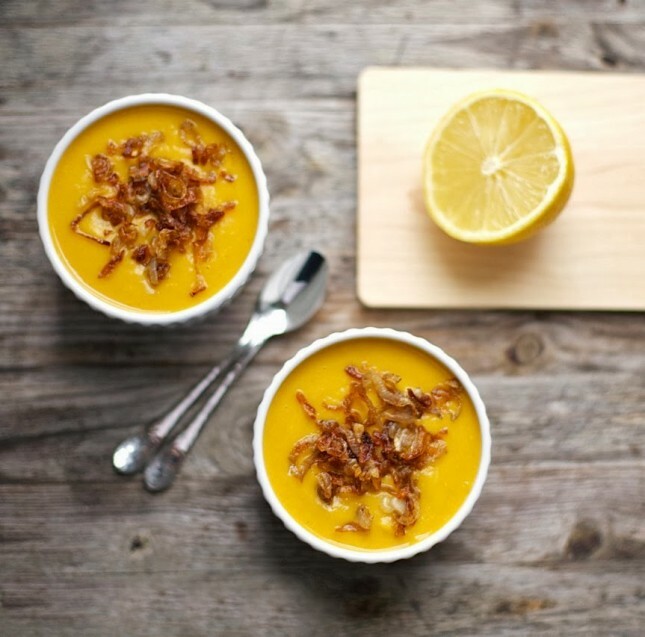 Crispy, sweet shallots are a beautiful contrast to this creamy pumpkin soup. 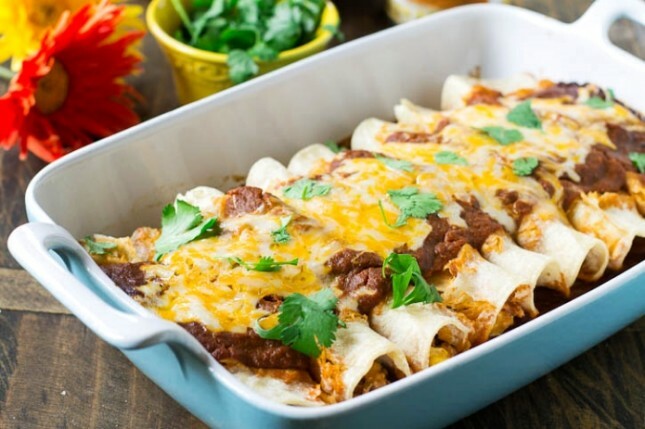 These fiery little enchiladas are right up my alley. 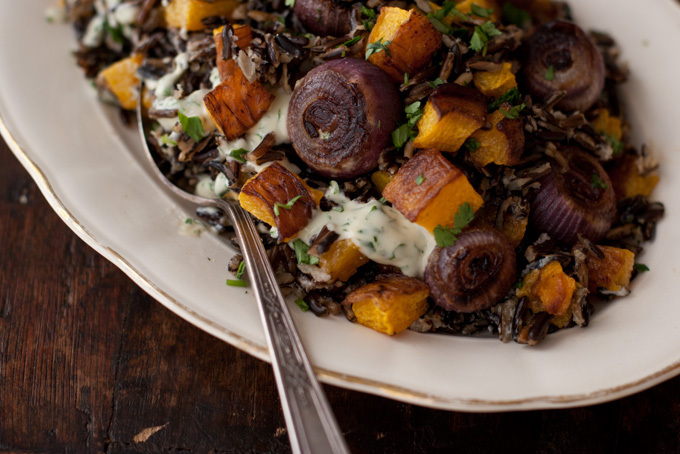 Roasted pumpkin and sweet, roasted red onions are nestled atop wild rice to create a beautiful, autumn-inspired salad. 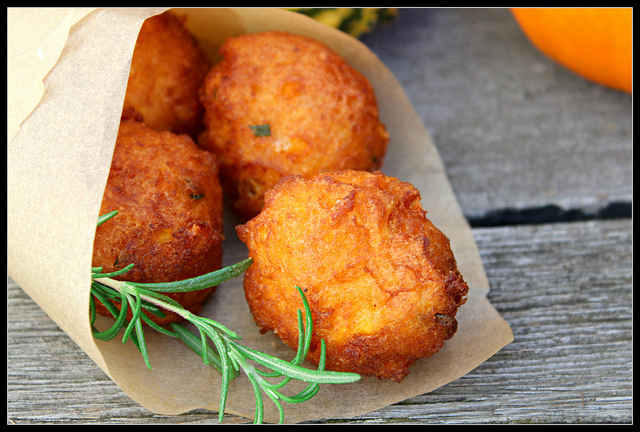 Crisp on the outside and pancake-y in the middle, these savory pumpkin fritters laced with a touch of rosemary and cheese are nothing short of perfection. 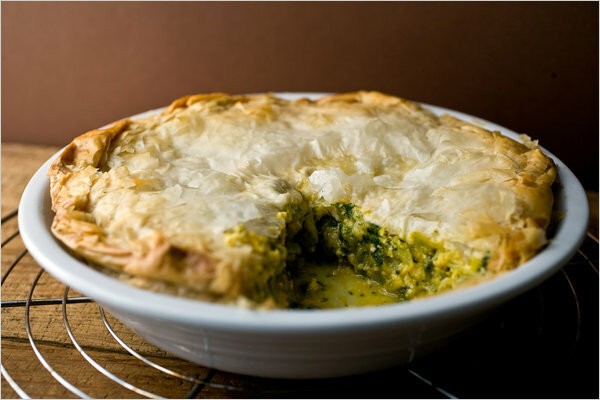 This is another recipe that is perfect for a Sunday Brunch.